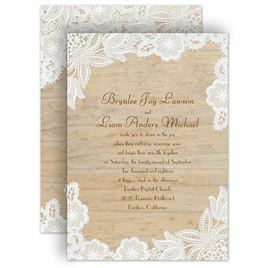 Wood wedding invitations from Invitations by Dawn are designed to reflect your rustic style with a touch of sweet country charm. 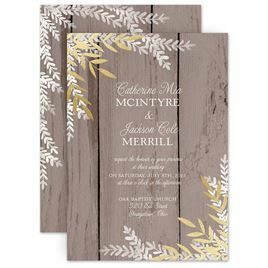 Wood frames, wooden signs and wood grain backgrounds are all available in a variety of styles and colors to match your wedding look. 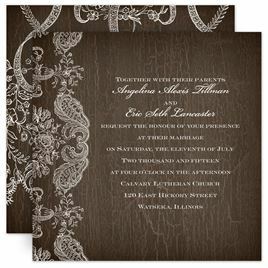 You won't find a better variety of country wedding invitations anywhere else. 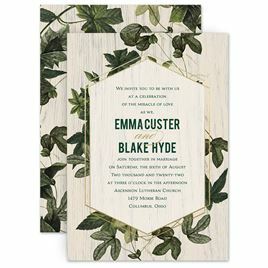 Are invitations featuring trees more your style? See our selection of tree wedding invitations.